This is another top pick that was certainly a no-brainer. Jim Starlin's Warlock is Ol' Grooves favorite series ever, and Strange Tales #178 is where it all began. Breathtakingly written and illustrated by Starlin, everything about this book sings. 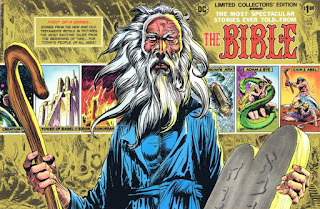 The splash page, the "history lesson" told by an alien with the personality of Don Rickles, the re-introduction of Adam Warlock, and the "Wizard of Oz" first look at the Magus are all indelibly etched into my brain. I LOVE this comic. 1974 was another excellent year for comics, so nailing down the rest of my favorite five was quite a chore. 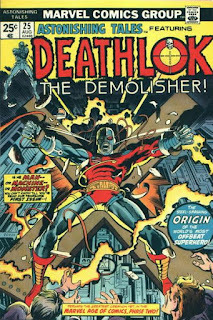 Well, okay, I'll admit, Marvel Premiere #15 (Iron Fist's debut) and Astonishing Tales #25 (Deathlok's debut) were easy picks. But I had to cull about 20 other books to settle on the other two. 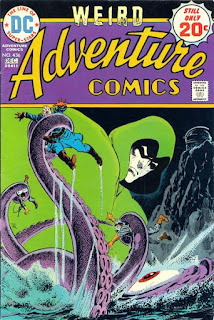 I knew at some point that the Michael Fleischer/Jim Aparo Spectre from Adventure Comics would show up on my list, and it helped that my favorite issue (which includes the return of Aquaman and the debut of Mike Grell) came out in 1974. 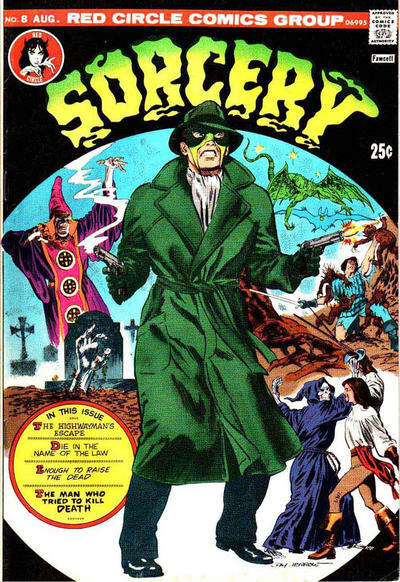 And Archie's Red Circle Sorcery #8 is one of my favorite comics of all time, with the Gray Morrow illustrated cover story and tales with art by Frank Thorne and Alex Toth! My only regret in regards to Giant-Size X-Men #1 is that I didn't buy every copy on the spinner-rack. I don't know how many times I read this mag--several times a day for the first few weeks, truth to be told. Groove loved everything about it. 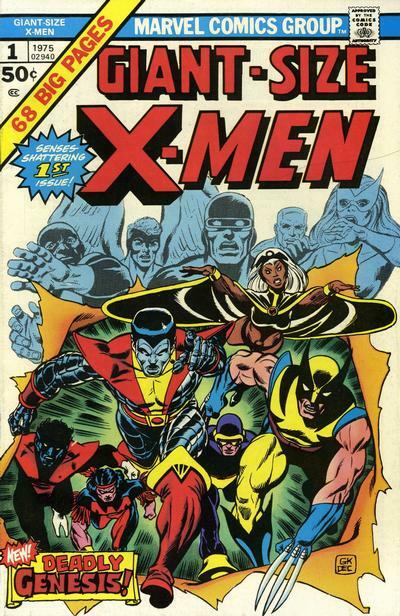 Len Wein's writing, Dave Cockrum's sublime art, the plot (it was creepy in places--in the best sense), the character interaction, the way 13 mutants worked together to defeat the villain. I loved it all! 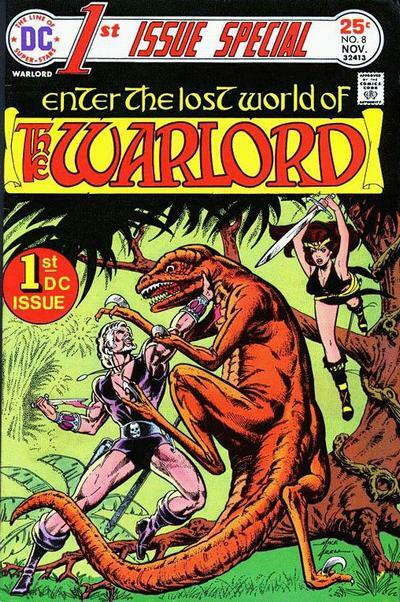 Again, if you've been around Groove City for any time at all, you know that Warlord is near and dear to Groove, and his debut tale in 1st Issue Special #8 is an all-time classic. Speaking of classics, DC's tabloid The Bible is gorgeous and very, very well written. The only gripe Ol' Groove has about it is that there were no sequels. The black and white mags were sloooowly starting to move away from the horror/monster genre and into other areas of interest. 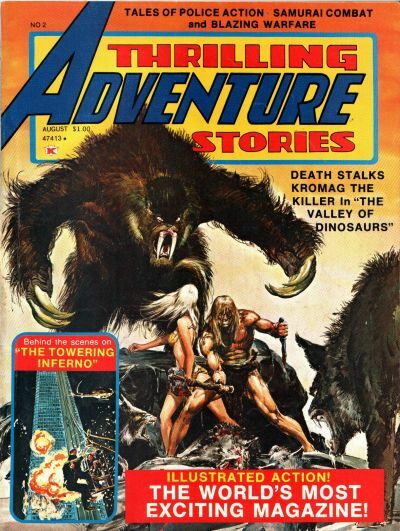 Two, Marvel Super-Action #1 and Atlas/Seaboard's Thrilling Adventure Stories were very much like comic mag equivalents of the "men's adventure magazines" Young Groove never got to read. Based on how short-lived they were, Ol' Groove must've been the only one to think that those two mags are the best b&w comic magazines ever produced, but think it I do! Rap about your faves, then make sure to be back tomorrow as we keep on truckin' through a Decade of Diversions with 1976/1977! More great romps through the 70s. Giant-Size X-Men # 1 would be on a greatest list for any decade. 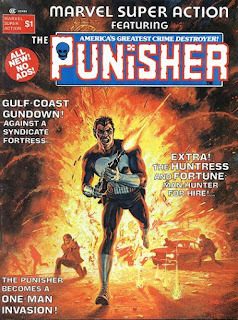 Starting with its amazing Kane/Cockrum cover (I've sandwiched it in between Steranko's 3 Captain America covers as one of the 4 best covers of all time) the breakneck pace never lets up. Adrenaline is pumped out on every page, reintroducing our also-ran mutants as a potent force for the 70s. The panel where Cyclops enters with his slicker, more modern visor had the 20 year fanboy in me giggling with nerdy pleasure. I already commented previously on the near perfect Thrilling Adventure Stories # 2. Only Jack Sparling detracted from an artistic Mt Rushmore of Adams, Severin, Simonson, Heath and Toth. 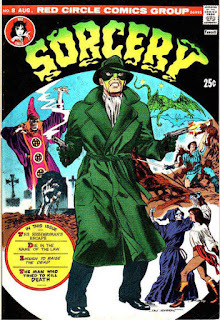 The DC tabloid of the Bible left me looking forward to more issues that never came. 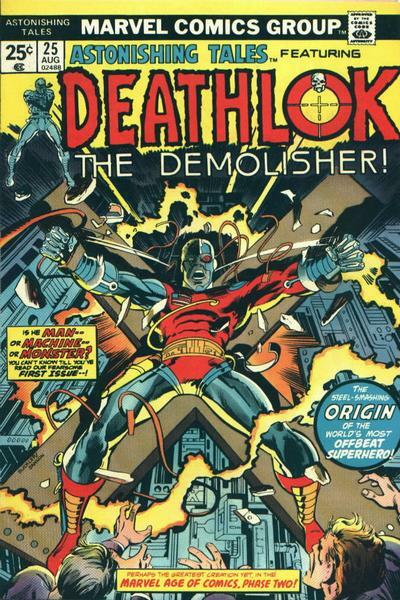 Deathlok couldn't have had a more auspicious beginning and even secures its place in history as the first published work for George Perez in its satirical backup feature. 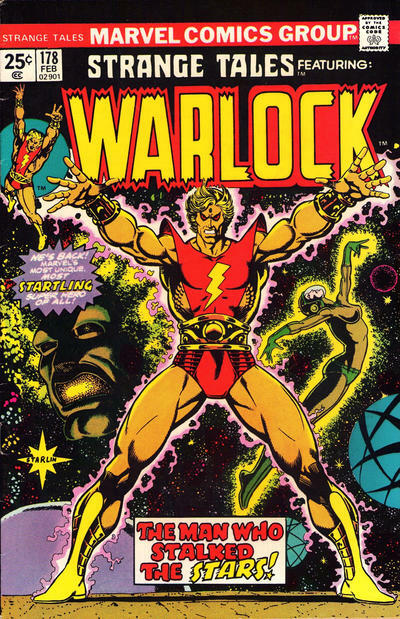 Warlock in Strange Tales # 178 was the comeback of Starlin after his leaving Captain Marvel in an editorial dispute. From his "everything elsing" to the superb Annette Kawecki lettering it proved Captain Marvel hadn't been a fluke and we were looking at a well of cosmic creativity for decades to come. Marvel Premiere # 15 only mildly excited me. Maybe I was getting martial arted out by then. It definitely had a creative pedigree with Thomas/Kane/Giordano but just paled in comparison to Master of Kung Fu. And sorry, Groove, but Warlord just left me cold. Not sure why, but I don't think I even purchased every issue after the debut, a rarity for me in those days. Can't wait to see the final two installments. The nice thing about your blog is that even as a grandparent you have never lost your fannish sense of wonder towards this hobby we all love. Being a grandparent actually helps me keep that sense of wonder. I get to share my heroes with a whole new generation! 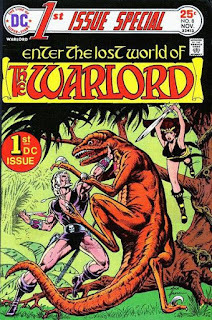 1974: Savage Sword of Conan 1 (Buscema/Thomas deliver a Conan-Red Sonja tale, another Sonja tale with Neal Adams/Crusty Bonkers inks, a Gil Kane Blackmark story, and a "Frost Giant's Daughter" reprint by Thomas/Smith), Kamandi 16 (Kirby explains how the animals became intelligent by telling a parallel story between past and present that disproves the irritating notion that Kirby couldn't write), Giant-Size Avengers 2 (Englehart and Cockrum use Kang, Rama-tut, the death of the Swordsman, and the Vision/Wanda/Mantis drama to blow Lil' John's mind), Captain America 175 (the end of the Secret Empire saga that reintroduced the X-Men and gave us Nixon (probably) as the mastermind behind it all), and Captain Marvel 33 (I know most would probably choose Strange Tales 178-great choice-but I love this one because it prefaces what Starlin would do with Warlock with a fantastic psychedelic battle between Marv and Thanos that just thrilled me, and still does). 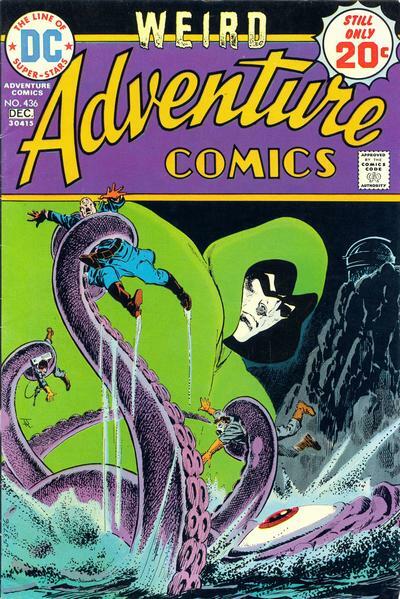 Many honorable mentions here, especially Omac 1, Planet of the Apes 1, Giant-Size Avengers 3, and Adventure 436 (man, I loved those Spectre stories, and this one has a Grell Aquaman story). 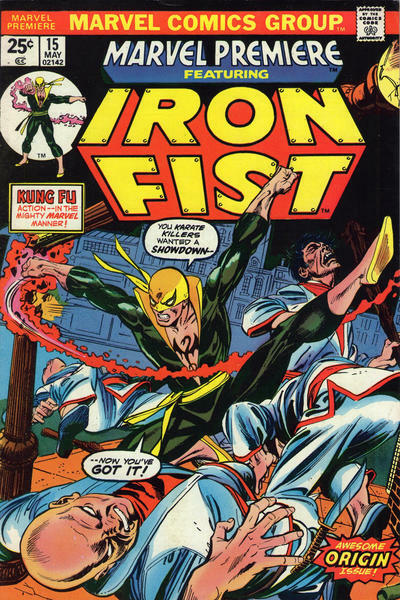 I also loved the Iron fist debut, but I don't feel like Giordano's inks really fit Kane's pencils. Still, a great book. 1975: Giant-Size X-Men 1 (a landmark book of my youth that features a fantastic mixture of new and old characters, Cyclops' really cool new visor, a living island as a villain, and Cockrum's incredible art that I still read several times a year), Warlord 1 (I also loved the First Issue Special, but this one goes over that stuff and adds more), First Issue Special 9 (Walt Simonson draws the ultimate Doctor Fate story), Invaders 1 (a perfect first issue that made me feel like I didn't need to read the Giant-Size debut -and I wouldn't find it for a couple of years-), and a two-way tie for the last spot between Avengers 124 (John Buscema inked by Cockrum, with the Avengers battling a space dragon and Englehart's "Celestial Madonna" story starting to pick up steam), and Phantom 67 (Don Newton's debut that would lead to much, much more-you can already see his style fully realized and he really nails the retelling of the Phantom's origin). A serious honorable mention goes to Thrilling Adventure Stories 2 (I couldn't include it because I still don't own it, though you have helped me to see a lot of it), the Bible tabloid edition (love the Kubert cover, and his imprint is all over it)and Captain America 193 (which was a really big deal at the time-Kirby is back!). Thanks for the memories, and I look forward to tomorrow's choices. All great choices. I see we are both Cockrum lovers. I can't emphasize how much joy that man brought me with his art, whether pencils, inking others or doing full artwork himself. Fortunately, I got to tell him that profusely the first time I met him, although it made the situation a little awkward (29 year old man babbling on like a little kid). Avengers # 124 where he finished John Buscema with his beauteous blacks still screams quality all these years later. The other stunning thing about CM # 33 was seeing Starlin's inked by Janson in another of the inker's best jobs. First Issue Special # 9 didn't sell well enough to give us an ongoing Dr. Fate series but is a stand-alone jewel. Giant-Size Avengers # 2 was another Cockrum tour-de-force. But the reproduction was bad robbing us of what was an excellent Cockrum job. Thanks for rescuing from having the longest post today.